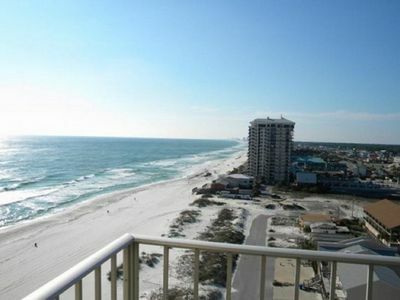 3 Bedroom/2 Bathroom Spacious condo with panoramic beach view! 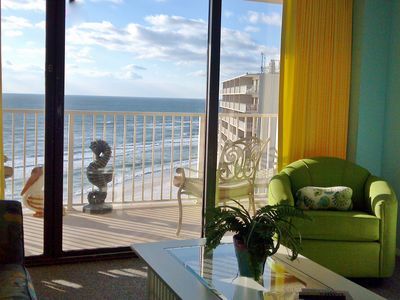 Now is the perfect time to visit the beach! 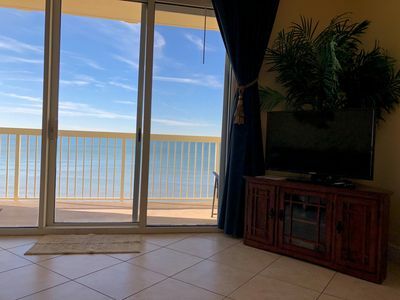 Our unit includes free daily use of beach services with a pair of padded lounge chairs and umbrella on the beach and free high speed wireless internet. Grandview also has a fitness center and seasonally heated pool. 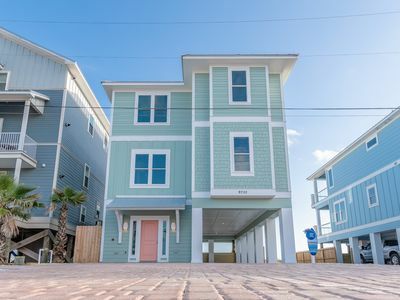 The front door has a keyless entry lock, so there are no keys to keep up with while you are on the beach or at the pool! 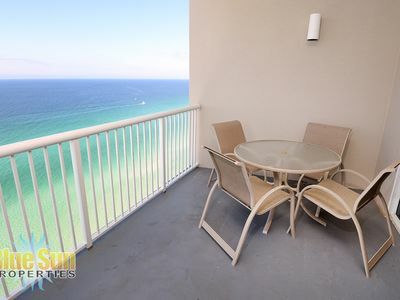 This unit is direct ocean front, on the first floor with amazing 180 degree views of the beach. 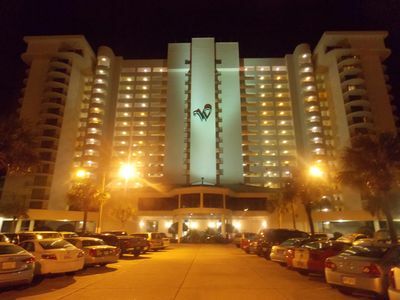 Conveniently located with only one flight of stairs above the beach, pools and parking level so you can skip the elevator. 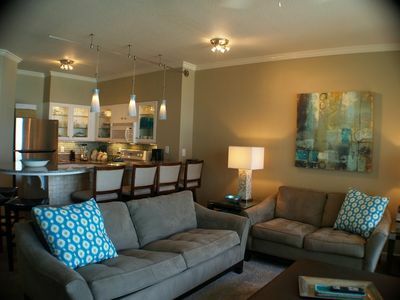 We have 1500 square feet of luxury living space with three bedrooms. The master bedroom and guest bedroom both have king size beds and the third bedroom has a trundle daybed with two twin beds, plus a queen sleeper sofa in the living room. The master bathroom has a walk-in shower and a large Jacuzzi tub. Each room has a television. 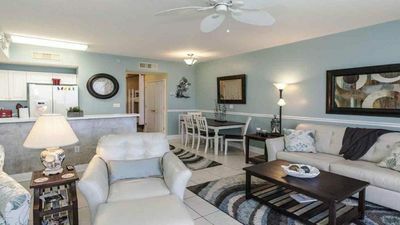 A large dining room seats 6 comfortably and has additional seating at the kitchen breakfast bar. 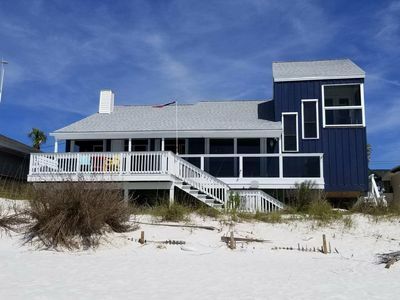 The big kitchen has granite countertops, refrigerator with water and ice dispenser on the door and is fully stocked with everything you will need. 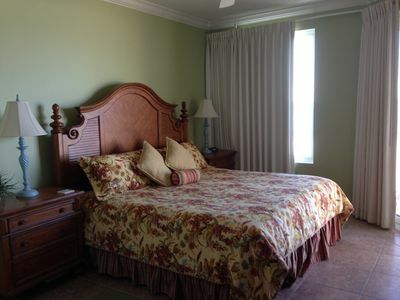 There is also a full washer/dryer, iron and ironing board, linens and towels. Please see our rates below. You must be at least 25 years old to rent this property. Half of the rate is due to reserve the unit, the balance is due 15 days before arrival. There is also a $300.00 damage deposit due with the last payment. If you are paying through Home Away your credit card will be refunded after your stay. If you are paying us directly by check we will just hold it and return that check to you after the rental period. 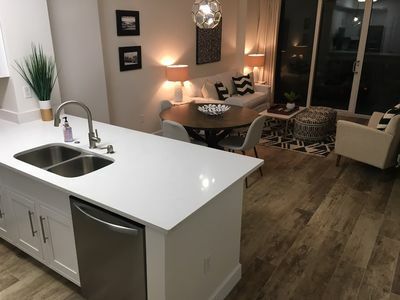 This unit is normally rented from Saturday to Saturday during spring and summer. 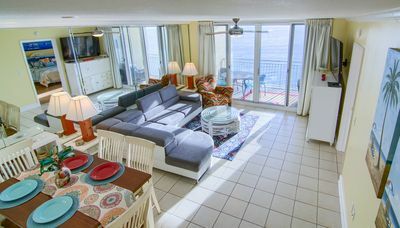 If you are looking for a great family vacation in Florida, this is it! 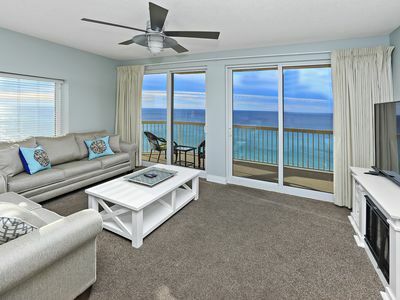 We have worked to make our condo comfortable and family friendly - a place to relax and enjoy the beautiful white sand beaches. UNIT 301E. 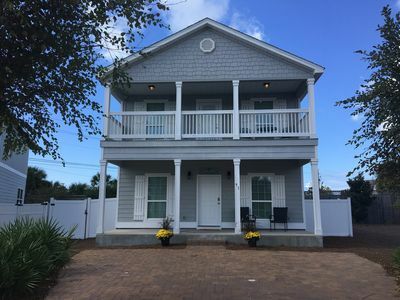 OPEN 4/10-15 NOW ONLY $1350 TOTAL! UPGRADES GALORE! GREAT VIEWS! 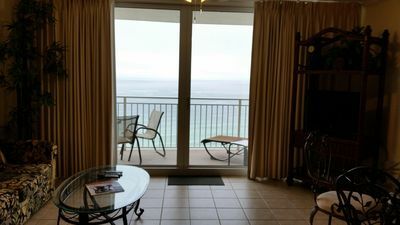 SeaRenity Shores-Largest Balcony-Best view-2 kings +Bunkroom Sony60” w/Apple TV! 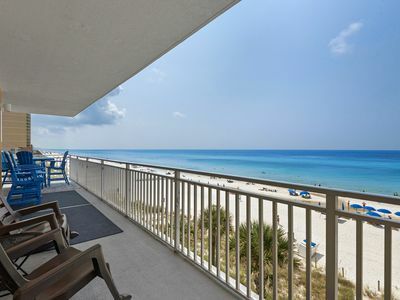 Direct beachfront! 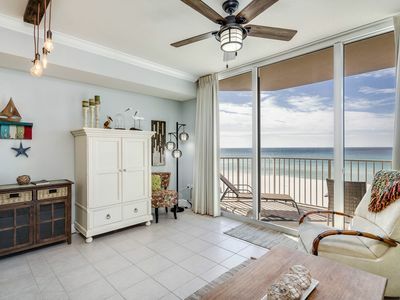 8th Floor Condo with incredible beach front ocean view!